I have to say that one of the main reasons I wanted to share what we have been doing this year for third grade is because I get so many questions about English grammar. This is something I get strangely excited about, so I will warn you that this will be a long post! I find that a lot of families are using First Language Lessons for the Well Trained Mind for first and second grades. Other families just aren't sure what to think about grammar curricula or have others that they fall in love with. Plus--let's face it--English grammar is something a lot of us were never adequately taught in school. We used First Language Lessons, and I loved so much about it. I do plan to use it with Benjamin when the time comes unless I find something better before then. The issue in my mind comes with the jump to that next level book. I know families who have used the third grade book and loved it. Others, not so much. I wasn't sure I wanted to go any farther down that road right now just to switch it up next year when I know that Essentials encompasses a lot of memory work. Plus, I'm a bit cheap, and I didn't want to spend money on something that I could do just as well without. That's all a bit of a tangent, but I wanted to share some of the "why" behind what I chose to do this year. Continue to memorize the eight parts of speech and their definitions, and begin identifying them in use. Continue reinforcing good mechanics through dictation. Begin memorizing the EEL mastery charts by copying them. Introduce diagramming and practice daily. Begin to develop more detailed sentence parsing skills by introducing the quid et quo chart. This may sound like a foreign language to you if you're not familiar with the Essentials program. Also, the great thing about these goals is that they all work together, and we could accomplish most of them simply by working on a sentence or two per day. There were two basic grammar tasks that I assigned Jonathan throughout the week. First, I assigned him memory work two days per week. We began by reviewing the definitions of the eight parts of speech. You can't do much else with grammar until you have those down. Jonathan began by copying the definitions for handwriting on some days (not all at once), and we worked up to copying all of them from the EEL mastery charts two days per week. This was more because of handwriting issues than anything else. We then worked our way into copying the mastery charts on those days. He started with the Sentence Classification chart. At first he would focus on drawing the structure and copying the main headings. Then we added secondary information, and he could later draw it completely from memory. Using this method, he has memorized the Sentence Classification chart and the Nouns chart this year. For the bulk of our grammar study, I would either dictate a sentence to him or have him copy one from his notebook. He would check mechanics and spelling, and we could review any rules that were applicable. At the beginning of the year we would focus on questioning to identify the parts of speech, and that transitioned into diagramming. First I did a lot of modeling for him, but it wasn't long before he was diagramming on his own. Throughout the year, I would model new diagramming concepts as we moved along. In the second semester, I decided to introduce him to the quid et quo chart just to see how it would go. He picked it up quickly, and I actually think it may have been more helpful if we had started with it in the beginning. There was a lot of information on the chart that he didn't know, so we focused on what he did know adding new ideas as we went along. He still doesn't know much of it, but that's what the next three years in Essentials are for. Also, at this point, we have only been working on the quid et quo one day per week. We will transition into using it more next year. This could be especially overwhelming if you're not comfortable with diagramming yourself. I would recommend Our Mother Tongue as a good resource to refresh your own grammar and diagramming skills. And do remember that you just have to stay ahead of a third grader. Don't make things too complicated this year. If you simply get into diagramming subjects, verbs, direct objects, indirect objects, and modifiers, then you are already beyond what many of us learned in high school. If you don't make it that far, then that's what the next three years of Essentials are for! 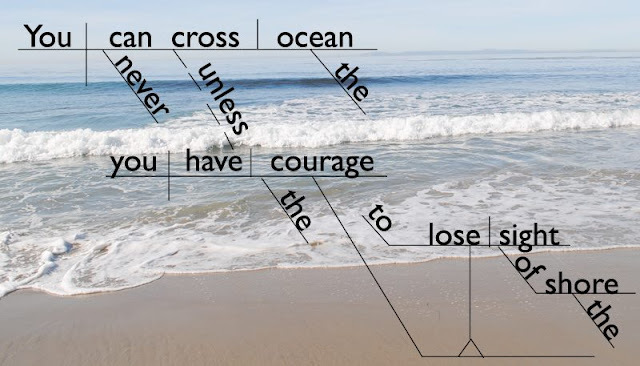 If you are part of a Classical Conversations community, and you would like to attempt to do this transitional grammar on your own, then I am sure your director or Essentials tutor would be glad to answer questions for you. Or you could send them my way. I would be happy to clarify anything that I've thrown out here. For writing this year, the choice seemed easy for me. 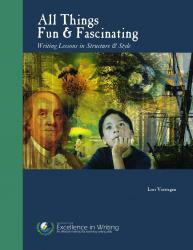 Since the Essentials program uses the Institute for Excellence in Writing's materials to teach writing, we use one of their lower level books, All Things Fun and Fascinating. It would definitely be helpful if you could go through the Teaching Writing: Structure and Style course to help you understand the ideas behind what's in the book, but you could possibly teach it without going through the course. Most CC campuses offer this course for their Essentials parents, so it's probably that you could sit in with them and just have to purchase the syllabus. I was dreading teaching writing for a lot of reasons, but Jonathan has loved this book! He is eager to work on his assignments. I think it definitely helps that Andrew Pudewa stresses differentiation in skills. When we are working on writing skills, it isn't the time to work on handwriting skills, so he urges us to let the students type their papers. This definitely removed a source of frustration for us. I love how this program teaches the students tools to help them model good writing. Later we will want them to leave the tools behind, but they can have a lot of practice before that time comes. My biggest advice if you choose to forego a formal curriculum for grammar or any subject is to have a clear plan. You must determine what it is that you want your student to accomplish for the year, set goals, and determine how you will work toward accomplishing them. Some of the goals I set will be too advanced for some third graders. Other students may zoom beyond them. You have to gauge the abilities of your student, and remember that our goal isn't to simply get through the material, but to master it. Just because you CAN move on doesn't mean you SHOULD. There is nothing wrong with slow and steady.